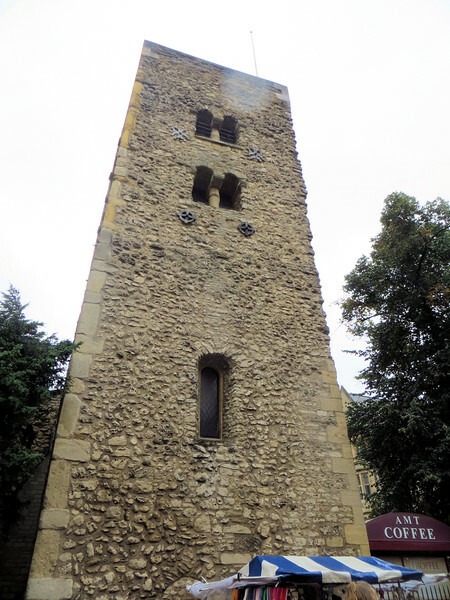 This is the oldest surviving structure in Oxford, St. Michael of the North Gate. It probably dates from the early to mid-11th century. It's on Cornmarket Street.